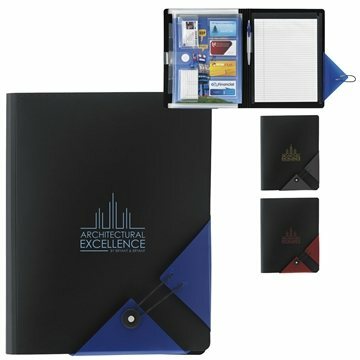 This stylish Polypro Filefolio is sure to make heads turn in your next meeting. This product comes with a writing pad for note taking. Includes a 8-1/2"w x 11"h writing pad. Great quality for the price. The service was great and they met our strict deadline! Logo looks great on them. Appreciated the fast delivery. the finished product exceeded my expectations. I bought this item for my Staff, who loved it very much and so do I.